Silvia Mazzini studied philosophy and theatre studies in Milan. Her MA thesis in aesthetics investigated the role of tension in Goethe’s Faust. 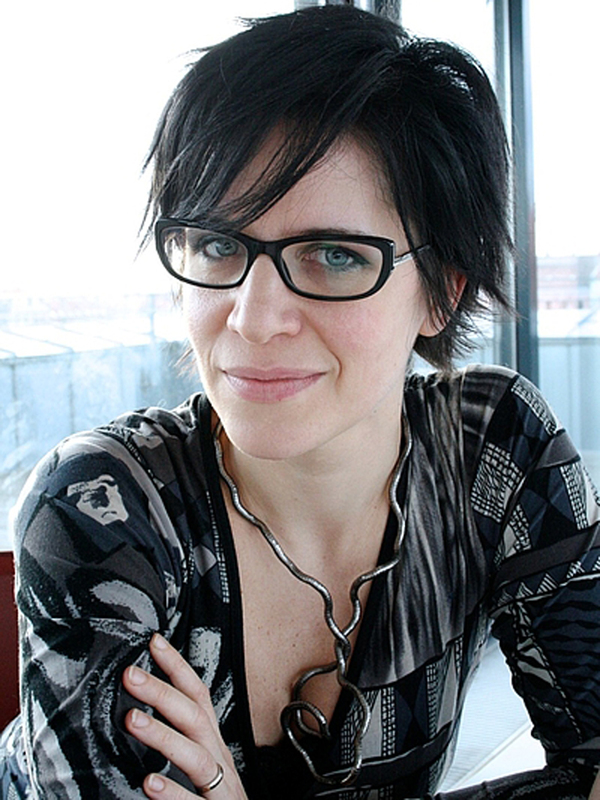 In her PhD (Humboldt-Universität zu Berlin) she analyzed the points of intersection between Gianni Vattimo’s weak-thought and Ernst Bloch’s utopian philosophy of hope, in order to give a new interpretation of their political and aesthetic ideas. Next to her academic research (aesthetics, performative rhetoric, political and utopian thought, community theatre), she teaches courses at the Institute for Cultural Sciences of the Humboldt-Universität zu Berlin and at the FH Munich. At the ICI Berlin, she elaborated her project ‘The Coherence of Contradictions in Pier Paolo Pasolini’. She is co-founder of IF, an experimental theatre project in Italy, and works as dramaturge and theater author for different theatre companies. In the 1960s and 1970s, writer and director Pier Paolo Pasolini planned to express in a film what intellectuals such as Alain Badiou and Giorgio Agamben develop today in their philosophical works: showing ‘in the most direct and violent way the impression of […] actuality’ of St. Paul of Tarsus. The movie was never made, but Pasolini’s screenplay, which was published posthumously, shows his intention to tell the story of Paul of Tarsus in a faithful way. However, Pasolini chose to ‘replace the ancient sites of power, of civil and religious culture with Paris, London, Rome, New York’: because ‘the poetic idea’ of the film laid ‘in the transposition of St. Paul’s story into the actuality’. Inspired by Pasolini’s ideas and works, a large community-theatre project is currently being prepared in Berlin (concept & project manager: Michael Kreuzer). Some of its districts will be identified in order to correspond to different stages of the journey of St. Paul. It is the final goal of this community-theatre project to stage the results of different urban interventions and other initiatives inspired by Pasolini’s never realized screenplay. During my research, I intend to collect and develop different documentations, ideas, concepts, and suggestions which will contribute to the dramaturgical reworking of the community theatre project. I will focus on identifying the various tensions that can arise from (potential) conflicts and/or contradictions – such as ‘actuality and holiness’ (as Pasolini said), institution and revolution, tradition and innovation. Starting point of this project about Pier Paolo Pasolini is a thesis: the striking contradictions in his work must be interpreted as a distinguishing mark and not as a flaw. Pasolini is mostly known as a film director, but he was also a poet, novelist, essayist. In his films and writings, he fought against every form of absolutism. That can even be recognized in his style of argumentation, where every thesis evokes simultaneously an antithesis, without building a comforting, absolutistic, and ‘totalitarian’ synthesis. While most of Pasolini’s critics defined his work as irrational and incoherent, I intend to show how his ideas are organic and represent a kind of ‘multistable unity’ – but without constituting a so-called ‘synthesis of opposites’. Therefore the goal of my project is a philosophical formulation of Pasolini’s thinking, in the form of an extended essay.